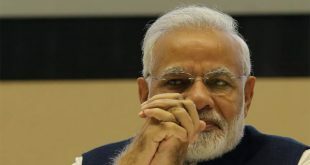 NEW DELHI, May 15 (Reuters) – India’s ruling party was heading for an outright majority on Monday in an election in a big southern state, the vote count showed, cementing Prime Minister Narendra Modi’s popularity ahead of general elections next year. 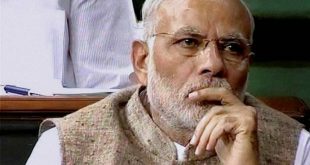 A BJP-led government in Karnataka would prove a major boost for Modi ahead of the 2019 elections, silencing critics who said his popularity had faded over the rocky adoption of a nationwide sales tax and a sudden ban on high-value notes late in 2016. 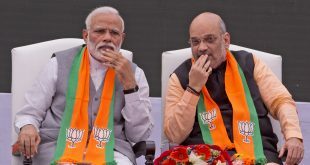 Modi’s Bharatiya Janata Party was leading in 114 seats in the elections to the 225-seat state assembly, the Election Commission of India said. 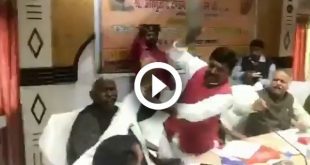 Congress was leading in 55 seats. Celebrations erupted outside the party headquarters in Bengaluru, with supporters shouting victory slogans and waving the party’s flag as the results trickled in. 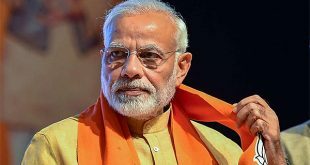 “The BJP is winning, which means that Modi magic is still intact,” said Satish Misra, a political analyst at the Observer Research Foundation in the capital, New Delhi. The benchmark NSE Index extended gains to more than 1 percent as the BJP improved its tally. For the BJP, which now rules 21 of India’s 29 states, winning power in Karnataka gives it a southern beachhead in addition to its core base in the country’s north and west. Currently ruled by the Congress party, Karnataka is home to the technology hub of Bengaluru and is the first major state electing an assembly this year, to be followed by three more. A BJP win there would also dispel investor worries that a loss might have forced Modi to double down on populist measures, such as extending farm loan waivers a year before the elections. The result is a setback for Congress President Rahul Gandhi, the fifth-generation scion of the Nehru-Gandhi dynasty, who had battled hard to upset Modi’s party in the southern state, where both leaders addressed rallies to whip up support. 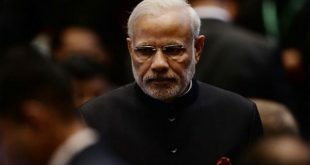 Modi still trumps Gandhi in popularity, with nine of 10 Indians expressing a favourable opinion of him and more than two-thirds satisfied with the direction in which he is taking the country, a Pew survey found in November. “The win definitely enhances the prospect of Prime Minister Modi for another term,” said political commentator N. Ram.